Baloch activists held anti-Pakistan protests in German cities, demanding removal of nuclear weapons from Balochistan. The activists held demonstations in the German cities of Dusseldorf, Berlin and Munich against what they called and described as a "human right crisis and forced disapperances ' of Baloch people in Pakistan. The protests were organised by the Baloch National Movement . Protesters were seen holding placards thanking Indian Prime Minister Narendra Modi for raising the issue of human rights violations in Balochistan. 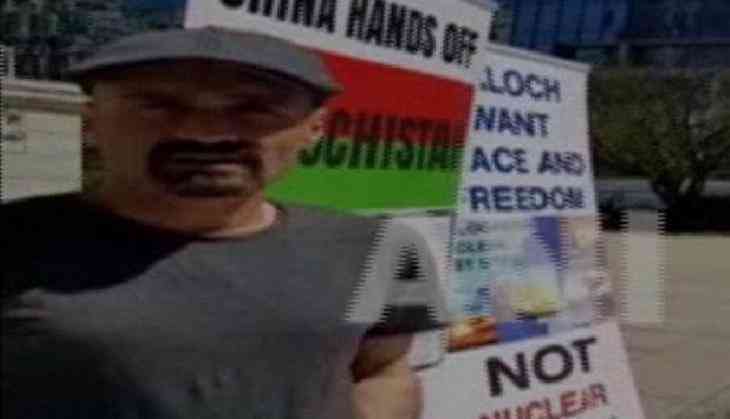 Most specifically, the protests were against Pakistan's testing of nuclear weapons in Balochistan as also the politico-economic nexus between Pakistan and China, which has resulted in the plundering of Balochistan's natural resources. Pakistan had selected Balochistan for testing their nuclear bombs on 28 May 1998.These tests were conducted in the Koh Kambaran and Raaskoh range of Chaghai Hills in Balochistan. As result of these tests, a vast area in Balochistan has been contaminated with nuclear radiation toxic. Much of this area has become uninhabitable and most of animals and plants in this vicinity are destroyed. People have developed all sorts of diseases and deformities. Hence, the nuclear weapons of Pakistan are a threat which exists to the whole world, including Balochistan. The protesters were carrying placards and banners described with different slogans against Pakistan's nuclear weapons and China-Pakistani nexus in London. Free Balochistan Movement, Hyrbyair Marri alleged that more than 25,000 Baloch people have gone missing by the hands of Pakistani forces while more than 3,000 Baloch missing persons have been found killed and dumped in various parts of Balochistan and Sindh. Free Balochistan Movement, Hyrbyair Marri, said "Three mass graves were found in Tootak area of Khuzdar in 2014 containing 169 dead bodies. Only two of them were identified by their clothes and ID cards. They had been abducted by the Pakistani army during earthquake relief operations in Awaran in September and October 2013."